This is a call for art that is driven by ideas and emotions, but that also has a strong emphasis on aesthetics, materials, and craft. In other words, the work in this show will be conceptually and emotionally dynamic but will also have a strong embodiment of form through process. The show is open to individual interpretations of the meaning and relative importance of concept, form, and process in one’s own art-making practice. Jack Rasmussen earned his bachelor’s degree in art from Whitman College. He holds master’s degrees in painting, arts management, and anthropology; and a PhD in anthropological linguistics from American University. Rasmussen began his career in 1975 as assistant director of the Washington Project for the Arts under founder Alice Denney. He then owned and operated the John Rasmussen Gallery, a vital part of DC’s art scene until it closed in 1983. He served as American University’s associate director of development from 1983 to 1987. From 1989 to 1992, Rasmussen helped conceive, launch, and operate the Rockville Arts Place in suburban Maryland. He then became executive director of the Maryland Art Place (MAP) in Baltimore, a nonprofit contemporary arts center serving the Mid-Atlantic. In his 10 years at MAP, he curated a series of cutting-edge shows and off-site projects, introduced a new cabaret space and heightened community involvement. Rasmussen’s next post was executive director of the di Rosa Preserve: Art & Nature, a contemporary art museum and natural habitat in Napa, California. There, he oversaw the care and exhibition of 2,100 artworks indoors and out, and organized traveling exhibitions to establish the di Rosa’s reputation and identity as the premiere venue for Northern California contemporary art. Rasmussen is currently on the Board of the Maryland State Arts Council and serves as the Director and Curator of the American University Museum at the Katzen Arts Center. Submit up to six digital files (images, audio, video, or a combination). You may also include a 1-2 paragraph statement describing how each piece fits with the theme, or outlining a proposed installation in the space that is similar to one of your submitted images. Include an entry fee of $22 with your application. Submitted applications must be received by October 14, 2016. Incomplete applications will not be reviewed. All accepted work must be ready to hang or display. Two-dimensional work must have a braided picture wire on the back. Fragile media should be under Plexiglas. Installation art must be prepared by the artist or have instructions that are easy to follow. The gallery has a flat screen video and access to some types of video equipment, including a projector. The gallery reserves the right to refuse any piece that is improperly presented. All works are insured against physical damage or loss, from receipt through designated pickup time. If art is shipped to the gallery, the artist is responsible for shipping costs both to and from the gallery. 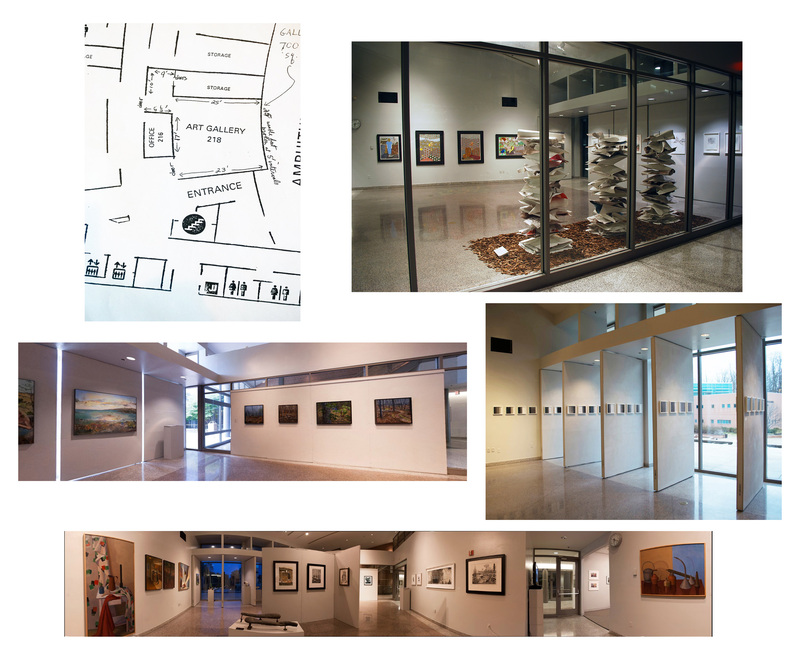 FOR MORE INFORMATION: Please visit: http://www.aacc.edu/cadegallery/ or contact Lindsay McCulloch, Director Cade Art Gallery, at lkmcculloch@aacc.edu.